The tire to turn to when handling, traction, speed are all a top priority. The Yksion Pro GripLink is specially designed to be run on the front wheel, offering excellent performance when paired with Mavic's PowerLink tire in the back. Outstanding traction and speed are afforded thanks to a special S+ dual rubber compound. This material features extra Silica content for super grip in wet or dry conditions. Paired with a grooved tread design, the GripLink excels, rain or shine. 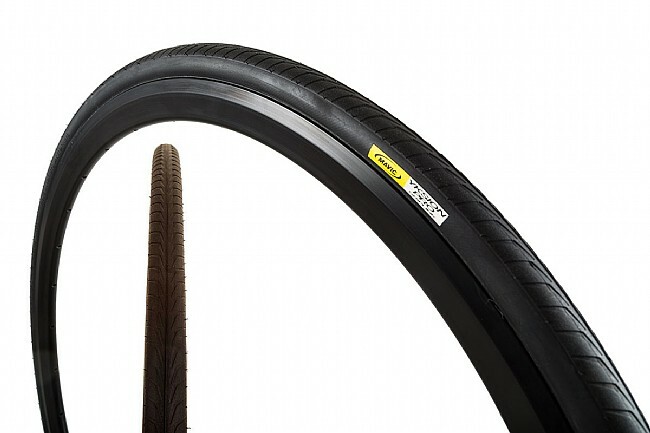 Note: Mavic's GripLink tires can be used for either front or rear use, but for best performance this tire should be run as a set with the GripLink up front and their PowerLink tire on the rear wheel.